The Halloween decor inspired me to create some goodies for a party for the weekend! All of these awesome soft spoken™ embellishments can be found at Michaels craft stores this holiday season so hurry while they're still available. Perfect for parties, for treats for kids lunches or maybe just family goodies! It was really easy. 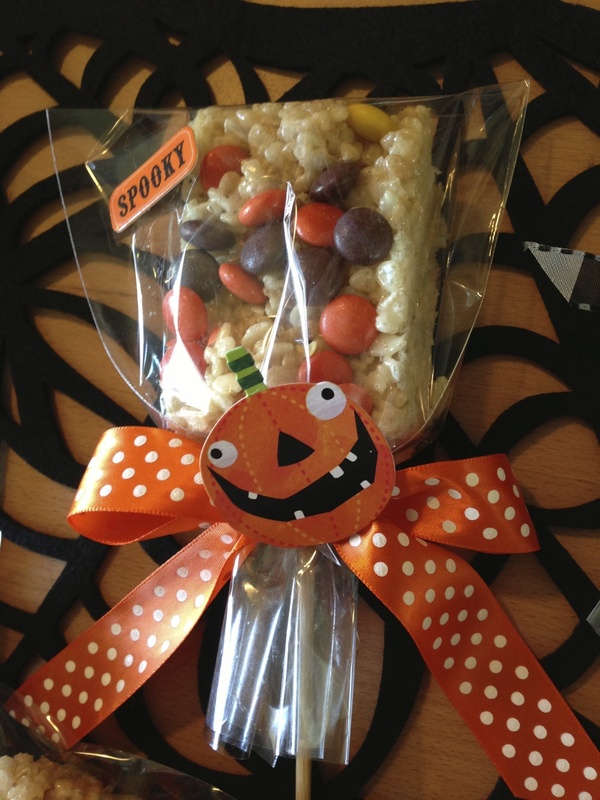 I simply made rice krispy treats and added reese's pieces candy to give more of a fall feel. I put them on a stick and then bagged them. After that I added a ribbon and then a self adhesive soft spoken™ embellishment sticker. Then you're done, it's that simple! I love that each one can be so different, they each have their one personality!